For a project I’m working on I need two disks, one on top of another, rotating in opposite directions. 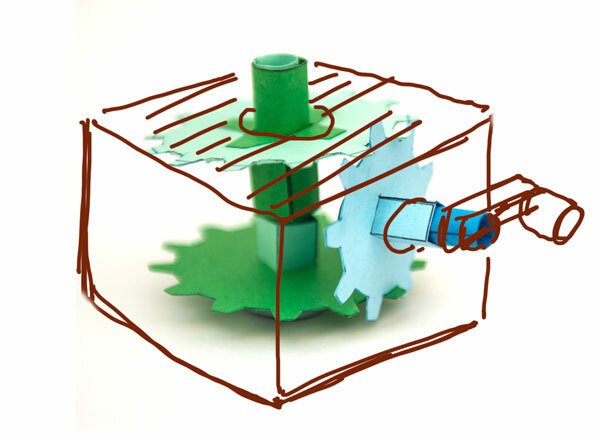 The mechanism is interesting and could be useful for other paper automata so I’ll be putting it on the site as an Essential Mechanism. Here is the first proof-of-concept stage. There will be two vertical axles, one inside the other. The plan is that the lower gear rotates the inner axle and the top gear rotates the outer axle. 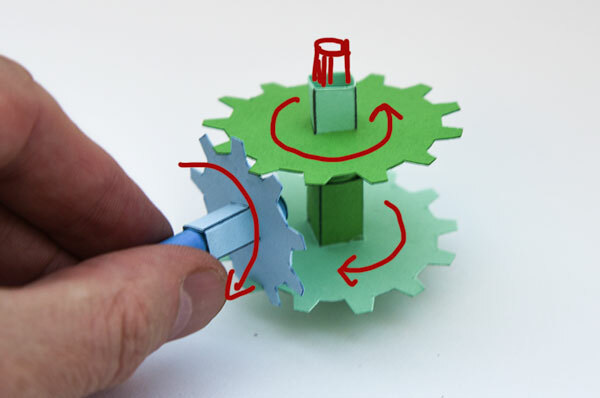 Both gears are rotated in opposite directions by the blue pinion gear. In this prototype the top and bottom gears have thirteen teeth and the pinion gear has nine teeth. The next stage is to design the box. 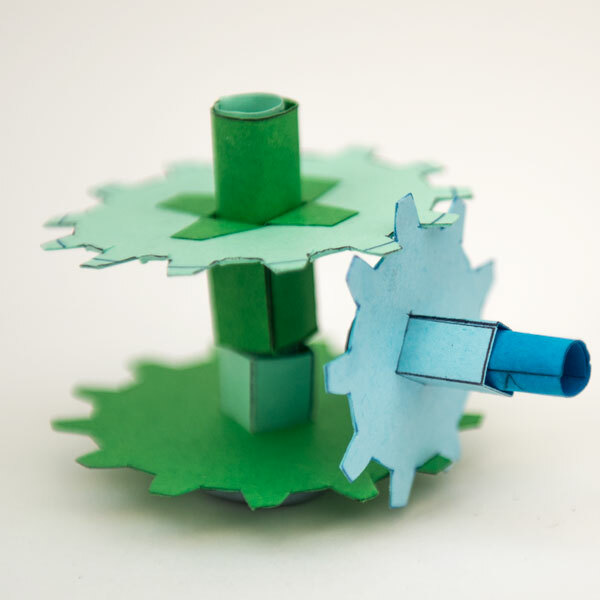 It will need to hold everything accurately in position whilst at the same time letting the gears rotate freely. Should be fun! sounds like a very intresting mechanism. i hope whoever your making the automaton that needs this mechanism will allow you to release more information on this project as well. I will let you know as soon as I can – the publisher is taking samples through to the Frankfurt Bookfair so it should be after that. I will also be sure to make a couple of models for this site using this mechanism.